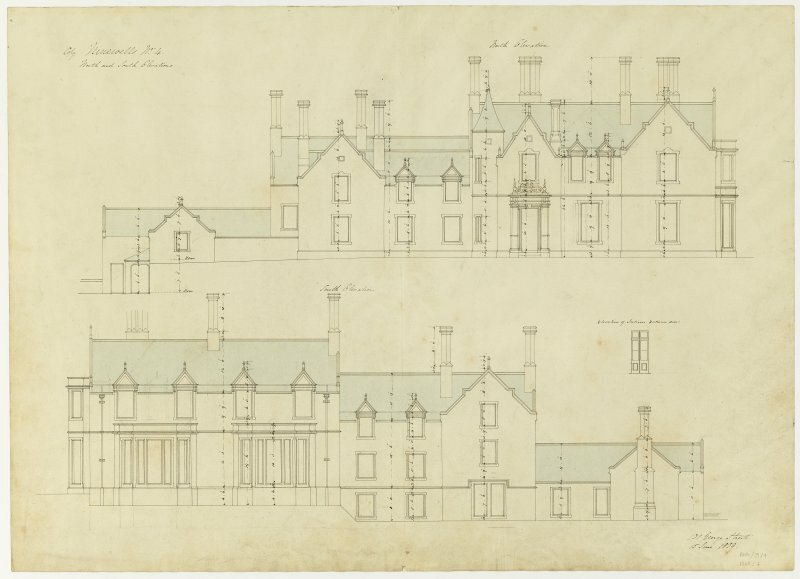 Drawing showing elevations and sections, Ninewells House. 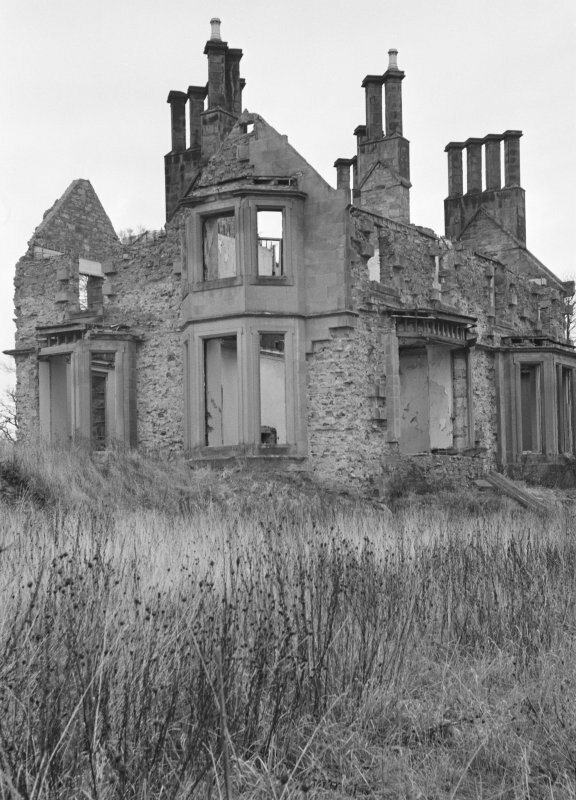 View of Ninewells House from NW during demolition. 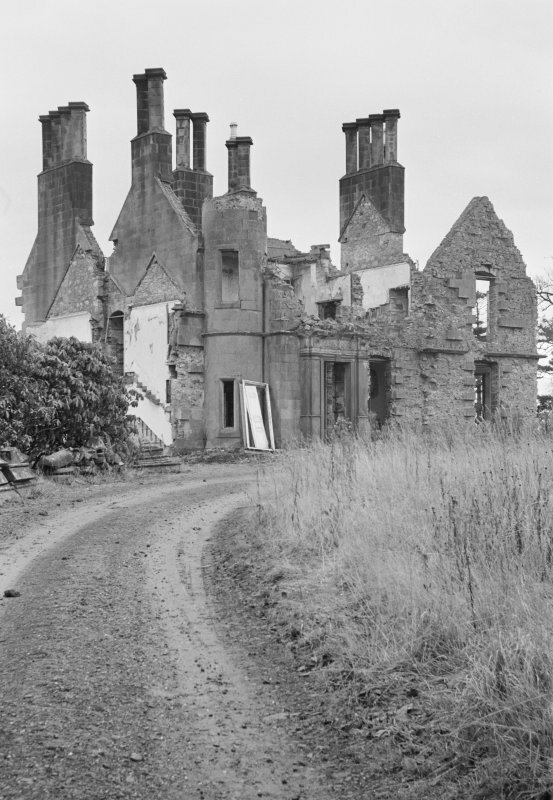 View of Ninewells House from SW during demolition. 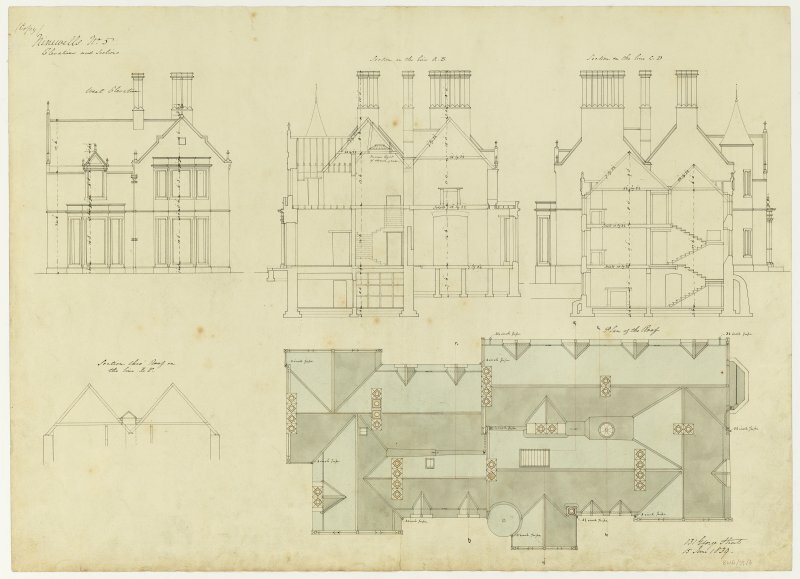 Drawing showing elevations and sections and plan of roof, Ninewells House. Drawing showing north and south elevations, Ninewells House. 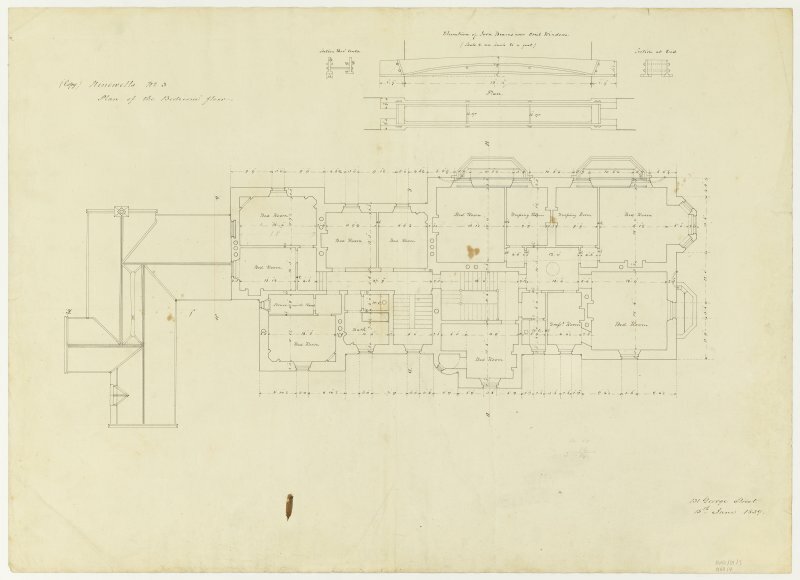 Drawing showing plan of sunk floor of wing and foundations of main house, Ninewells House. Drawing showing plan of bedroom floor and details of iron beam over oriel windows, Ninewells House. 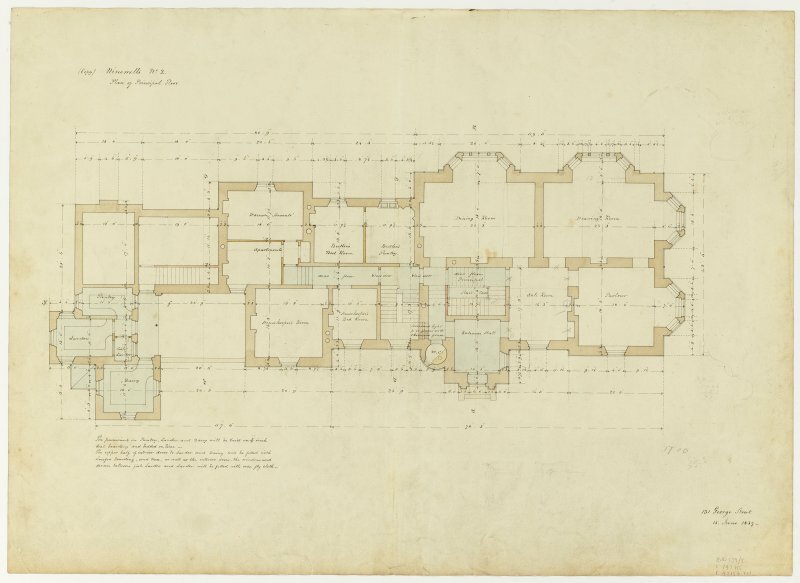 Drawing showing plan of principal floor, Ninewells House. Survey plan. Scanned image of D 4983. For Ninewells Dovecot (in grounds of Auburn House, Chirnside), see NT85NE 21. Location formerly entered as NT 86396 55747. 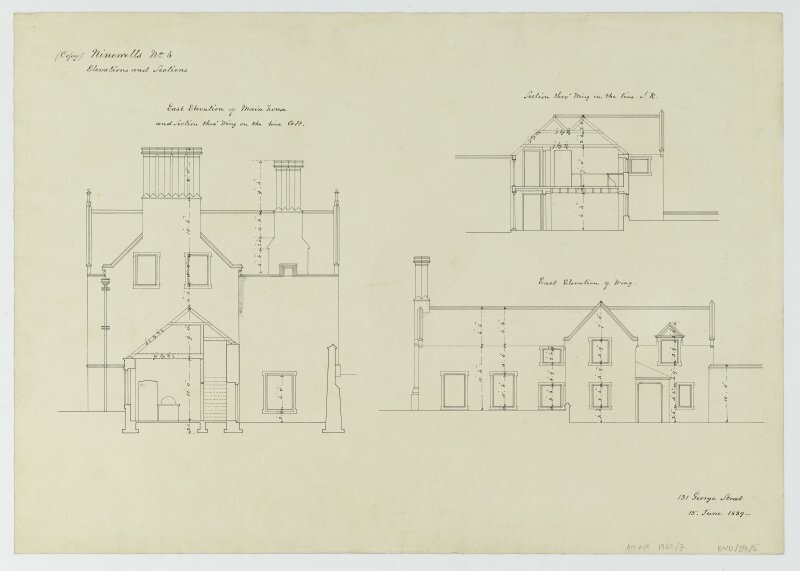 Robert Adam, 1790: design for a house. Ninewells house, walled garden and S Lodge are visible on large scale vertical air photographs (OS 70/366/045, flown 1970). Ninewells; built 1839. 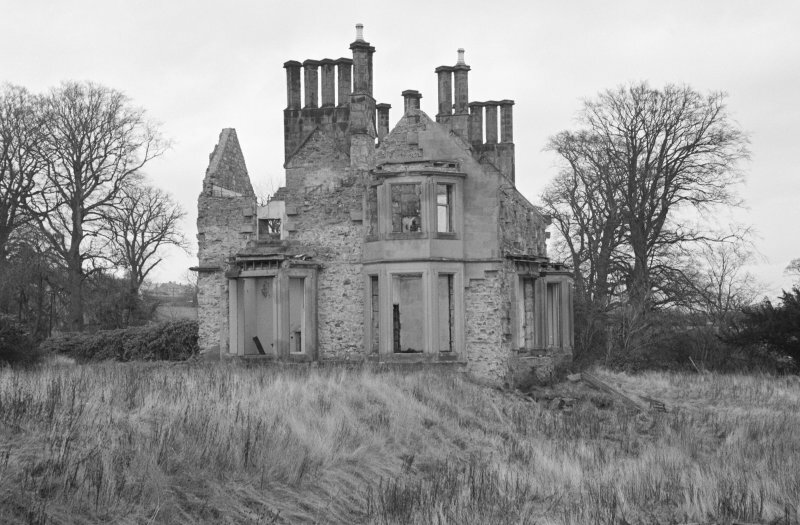 Is the successor of the ancestral home of David Hume (1711-76). Ninewells House is depicted on the OS 2nd Edition map (Berwickshire, sheet XVII, 1898). 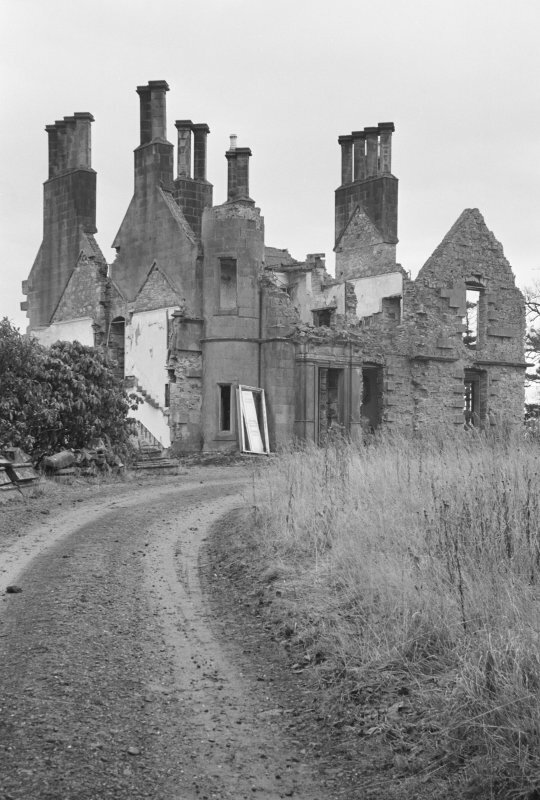 It was demolished in 1964. Information from RCAHMS (HMLB), July 2002. K [C H] Cruft, J [G] Dunbar and R Fawcett 2006. Architect William Burn. 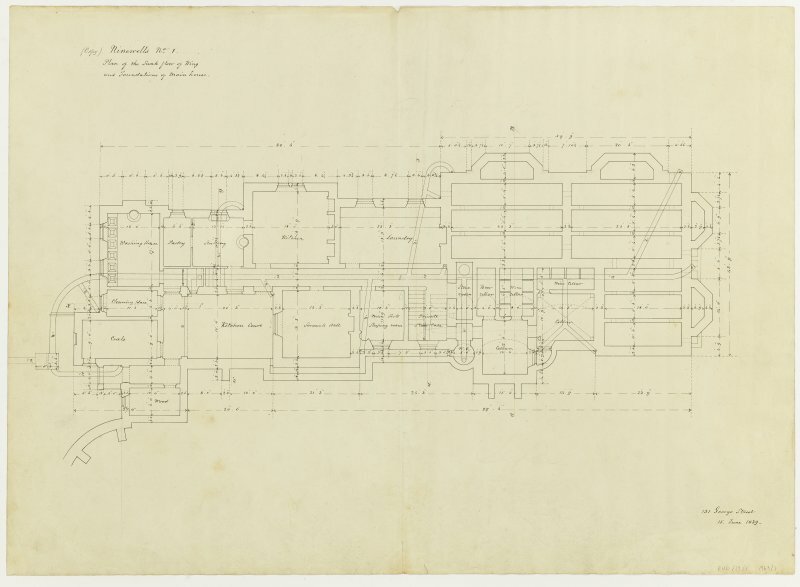 Measured drawings from 1839. 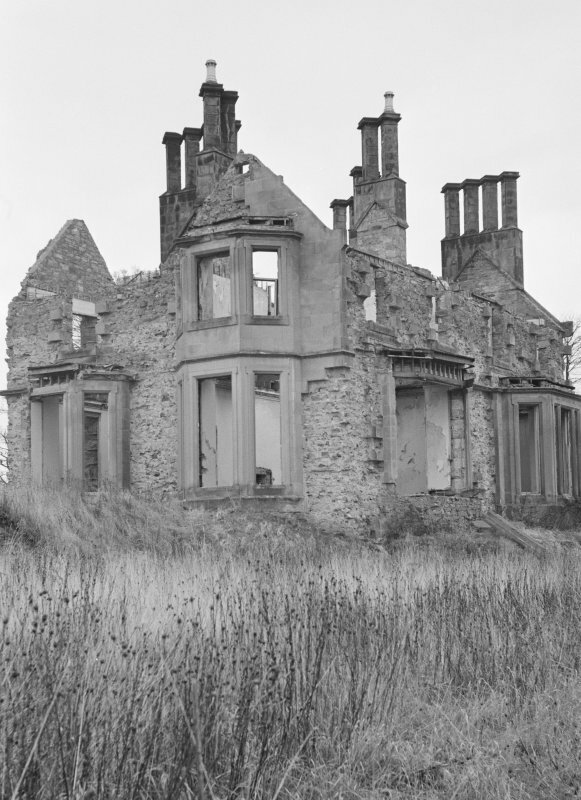 Photographs of Ninewells House, Berwickshire, taken during demolition, by the Scottish National Buildings Record in 1964.